They’re almost indestructible, capable of withstanding practically any kind of weather, economical to build and ready to move into in a matter of weeks. And, you are doing the planet a favour by recycling thousands of kilograms of steel. Shipping container homes are becoming increasingly popular for all these reasons and more. Containers are also getting second lives as cafes, accommodation and a range of commercial applications. Pharmacist Michael Redpath, his GP wife Julie, and daughters Lucy, 14, and Alice, 12, have just finished building a holiday house in the stunning rural area of Gloucester in NSW. It was partly the location that prompted the container build. It is difficult and expensive to get tradespeople to work for long periods of time in remote locations. The Redpaths’ architect-designed house – with three bedrooms and two living rooms – took about 12 weeks to complete, which is a little longer than usual. “Our house was a bit of a challenge. It’s at the top of a steep site and it’s two storeys,” Mr Redpath says. The ground floor, which is bedrooms and bathroom, used one 40-foot (12.2-metre) and one 20-foot (six-metre) container. On the first floor, placed at right angles to the lower level to create decks, two 40-foot containers create a living room with views down the valley. “We did something a bit ‘out there’. Architecturally, it’s fairly striking,” Mr Redpath says. The home operates off-grid, with solar power and batteries, tank water with river water back-up. It even has its own sewage system. 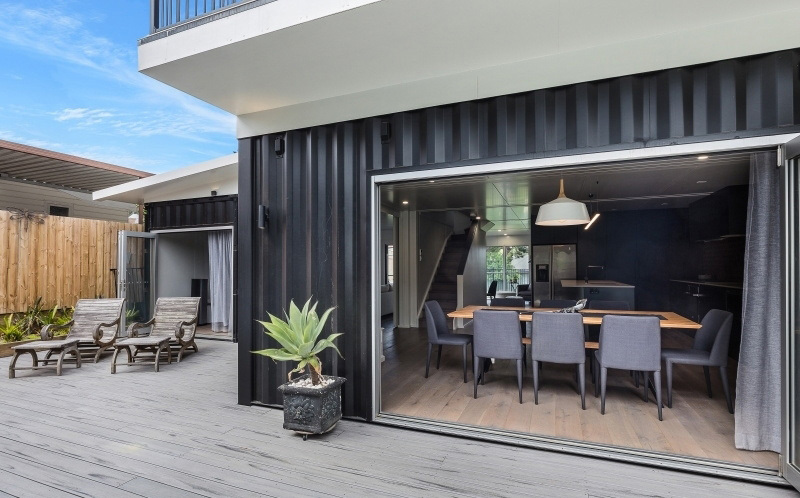 Container homes can flash their industrial credentials or be made to appear like a traditional house inside and out using any of the finishes available on the market. Almost all of the transformation from cargo container to house happens in a factory. That’s where insulation, lining, kitchens, bathrooms, plumbing and wiring are done, adding further economies to the build because problems that can besiege on-site building, such as bad weather, have no effect on the outcome. Container Build Group, based in Lismore, fitted out the Redpaths’ Gloucester home. Third-generation builders, Troy and Aden Moxon of Moxon Bros, prepared the site, assembled the home and took care of the final finish. Container Build Group chief executive Jamie van Tongeren says it’s important to get the right container. Some people even buy them new to avoid the dents and knocks that secondhand containers can have. Most of the containers destined to be turned into homes in Australia are new when loaded onto the ship – and that is the only time they will be used. Known as “one-trip” containers, they are generally in excellent condition. However, not all containers re suitable for housing. It’s essential to know what has been carried in them and to avoid any that have had toxic or chemical cargoes. Mr van Tongeren uses containers that have brought white goods to Australia. He began Container Build Group about 12 years ago and supplies container buildings across Australia, including units to councils for offices and meeting rooms. Other applications include cafes, a golf club, commercial work of all types and an increasing number of homes. The business has been so successful that he has just expanded into Hawaii. 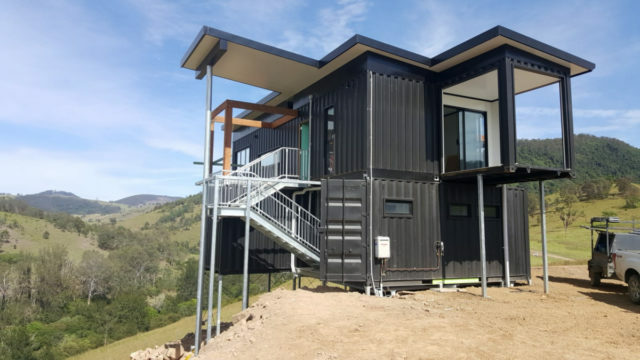 Mr van Tongaren says that, in his experience, shipping container homes don’t present problems with permits for councils or financing for banks, and the houses are built to standard builder’s contracts. 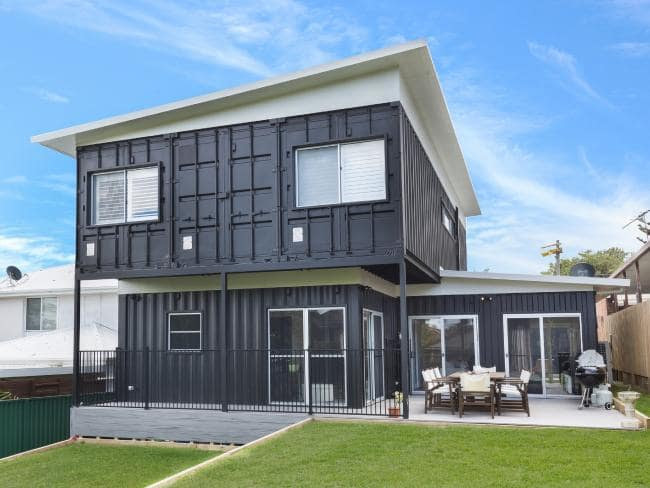 Councils do treat permanent container homes as they would any other building; all the usual approvals, engineering, plans and inspections are required. The homes offer a fast turnaround, are eco-friendly and cost effective. The cost of having one built will vary according to design, location, site works and fitout. Mr Tongaren says a base model two or three-bedroom house starts at about $190,000 but can cost up to $450,000. “We can supply a 20-foot (six-metre) granny flat, fitted out for about $27,000,” he says. 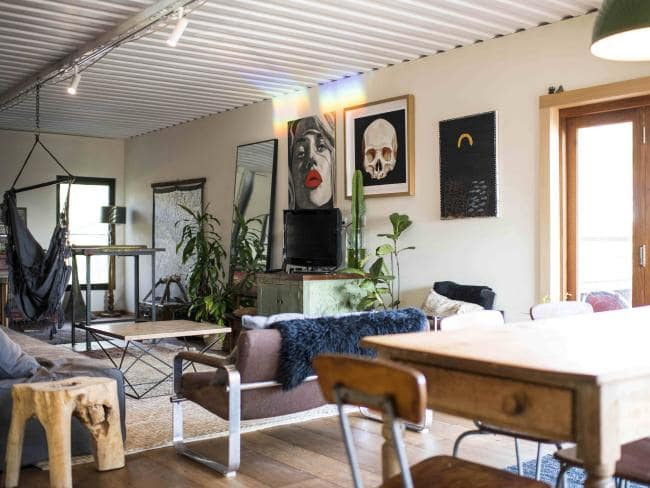 A NEW housing trend is making waves across Sydney, with home builders using recycled shipping containers to create cool and quirky homes and granny flats. 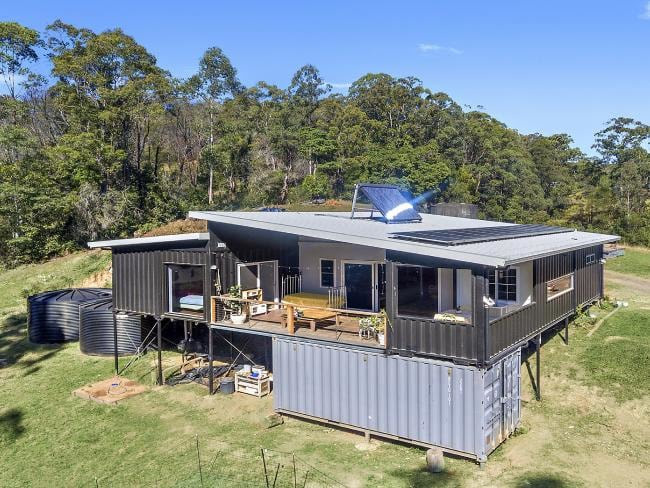 Already popular throughout other parts of the world, demand for shipping container homes has grown considerably in Australia, as owners search for innovative ways to minimise costs and time. CEO of Container Build Group Jamie Van Tongeren said Sydneysiders were keen to dive in, as there had been a massive upturn in demand for both residential and commercial property. “Interest has been doubling every year for the last six or seven years,” he said. 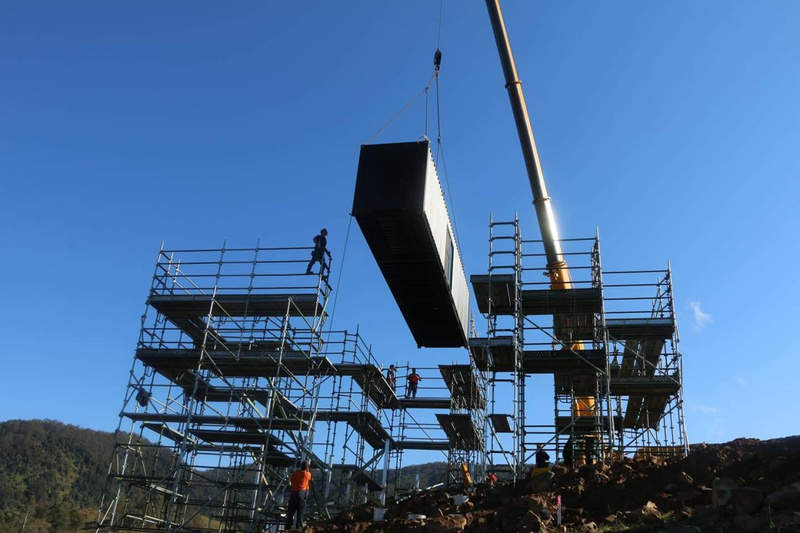 With all the major building done within the factory, it can take just one day to assemble the structure, and as little as six weeks to complete a home, Mr Van Tongeren added. The process begins by drilling holes into the ground, which are then filled with concrete and steel posts. The containers are then lowered onto the posts using a crane and welded together. Other features like the roof are then added. It is the speed of construction where money can be saved on things like rent and labour, with the overall price in Sydney for a larger container home relatively similar to that of a standard brick property. Smaller projects are more cost effective, with a container granny flat costing around $25,000, four times cheaper than using conventional materials. 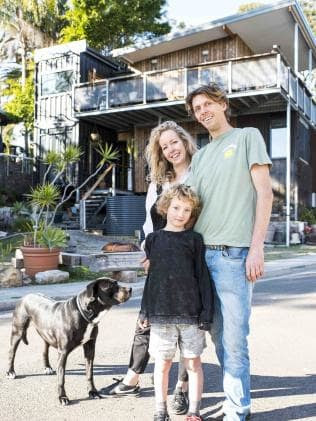 James Lister and Kelly Ross built their split-level Bundeena home using shipping containers, attracted to the different look and design. Built from seven separate containers, their architecturally designed three-bedroom home took four-and-a-half months to construct and cost around $550,000 to complete fully furnished. “We love the aesthetic and look of it structurally,” Mr Lister said. Using a recycled material was a big factor in the decision, with most containers classified as brand new, having undertaken just one overseas trip to Australia. “We understand building does create a lot of waste but most the materials we used were recycled. The containers obviously helped,” Ms Ross said. Other examples include another two-storey home in Cronulla made from eight containers and a three-bedroom property on the NSW north coast. 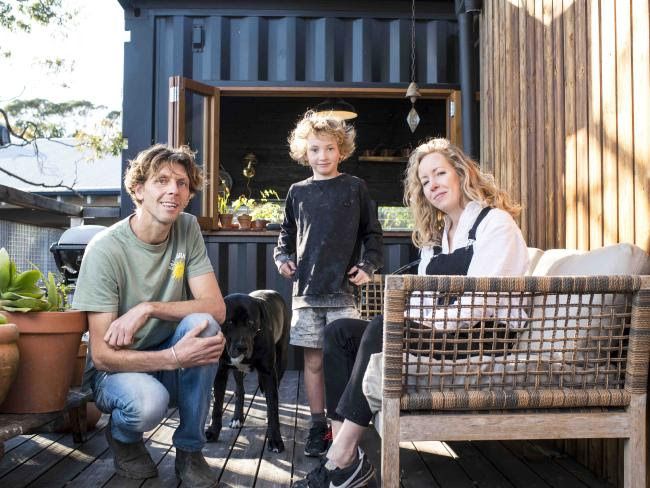 Builder Aden Moxon of Moxon Bros specialises in assembling containers homes, and said there were different finishes available to suit the owner’s taste. “You don’t have to stick with the traditional container look … timber and cladding can be used with it,” he said. Originally published as Would you live inside a shipping container?